The conference program (the final version) is now available. The conference fee system is now available. The deadline of proposal submission has been extended to 9th of May, 2014. The website opened (31st, March 2014). 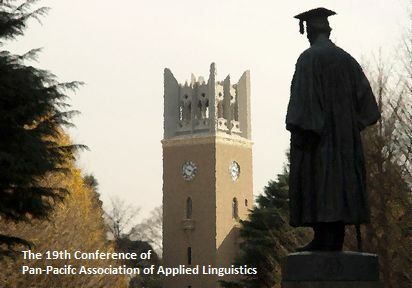 The PAAL Conference is a forum for academic exchanges among scholars and practitioners in applied linguistics and related areas. The conference provides a venue for the dissemination of current research on a wide variety of issues concerning Asia and beyond. This year, the conference is co-sponsored by Cross-Cultural Distance Learning Research Center, Waseda University. The 19th PAAL Conference is held at Waseda University, Tokyo, Japan from Sunday, 17th to Tuesday, 19th of August, 2014. Tokyo is the capital of Japan and one of the most populous cities in the world. After Tokugawa Shogunite establied the feudal government there, Tokyo has been Japan's political, economic, and academic center. Please contact us at conference2014#paaljapan.org (Replace # with @).